Sorry, you need to enable sending referrers, for this feature to work. As it turns out, this got ‘broken’ by the stupid Norton Internet Security software that came preinstalled on my latest PC, which by default turns on your firewall on your computer and has privacy protection built in to block referrer strings. It also destroys the looks and feel, as well as functionality, of many websites through the use of what they refer to as ‘ad blocking’, but which really blocks much more than ads – including every affiliate link (text or otherwise!) or google adsense link out there. That’s messed up. Want your computer working the way it was before Norton Internet Security ruined your surfing and blogging experience? 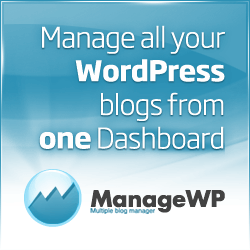 Want your WordPress plugins working again? Just open Norton IS and turn off both the settings for ‘privacy control’ and ‘ad blocking’. Or better yet, uninstall it all together — I found that it slowed down my internet use (especially receiving of email in outlook) to the point of being almost unusable – on a brand new 3.4 gHz P4 machine! Instead, use the firewall that comes with Windows XP SP2, and go with Mcafee for your antivirus software. Tada! All is well again. Need someone to create a custom template or plugin for your blog? Need help with SEO? Check out Rent A Coder!